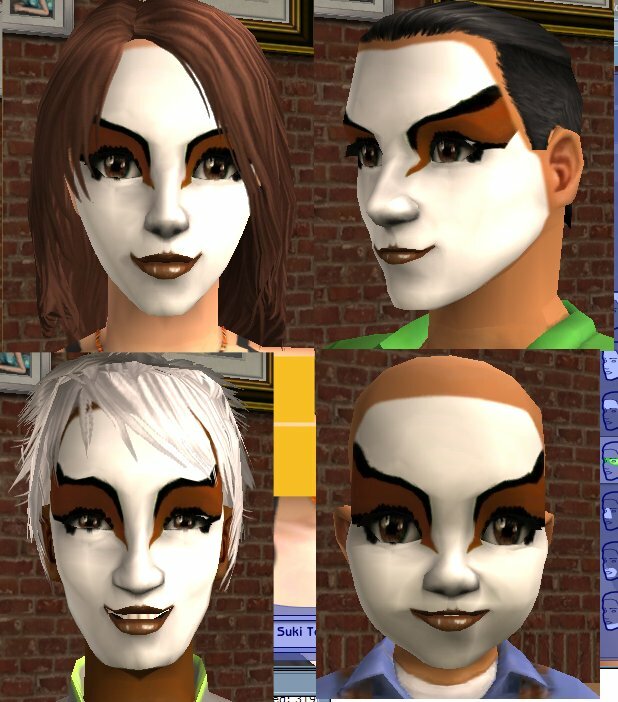 It's Suki/Avatar Kyoishi's face makeup from Avatar the last airbender. I admit it's probably not the best looking thing around, but it works to create a Suki sim if you want, or even as an alternative Geisha/Glam Rock/etc. Makeup. It works for all sexes and from toddler to elder.